Introducing the Launch of the Greyson Place Newsletter! We’re thrilled to announce the launch of our monthly newsletter! Get the deals you’ve been looking for and your hands on those items you’ve had your eye on! By signing up through your account at GreysonPlace.com, you’ll find hot deals and coupons, announcements on new products and the top trending blogs delivered to your inbox at the start of every month. Once you’ve signed up, be sure to add “info@greysonplace.com” to your email contacts to ensure your newsletter is not sent to your spam folder. Don’t have a Greyson Place account? Signing up is easy and it’s free! Ready to get started? Sign up before February 28, 2014 and receive your code for 15% off your next order! 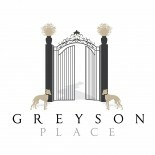 Click here to log in and sign up at GreysonPlace.com! This entry was posted on February 20, 2014 by Kaitlin Wagner in Greyson Place and tagged Accessories, Coupons, Deals, Gift Ideas, Greyson Place, Home Accessories, Home Decor, Interior Design, Newsletter, Shopping.